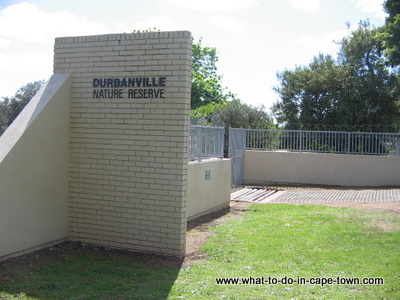 Durbanville Nature Reserve is situated next to the Durbanville Racecourse in the suburb of Durbanville. 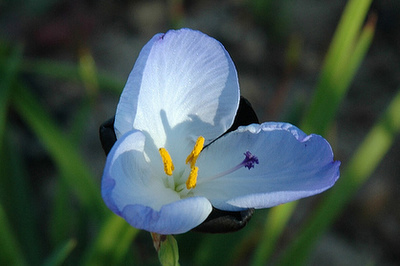 The reserve was proclaimed in 1966 when local residents found a rare plant, Aristea Lugens, growing there and persuaded the Durbanville Town Council to proclaim a reserve. Alien vegetation was cleared, an indigenous garden was planted and an education centre was developed. This six-hectare reserve is home to both the critically endangered Swartland Shale Renosterveld and Cape Flats Sand Fynbos. There are about 241 plant species, three endemic to Cape Town and six threatened with extinction. The site is home to several animal species, including birds, mammals, reptiles and amphibians. Birds such as the Cape sugarbird, lesser double-collared sunbird and Cape spurfowl can be seen in the reserve. The small grey mongoose and angulate tortoise also occur here, as well as the endemic and vulnerable Cape rain frog which can be heard when it rains. 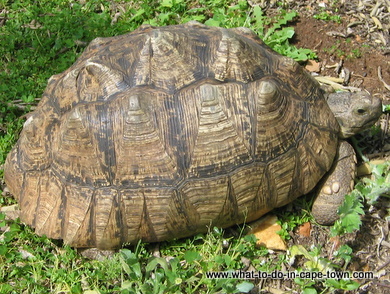 The release of unwanted pet tortoises poses a threat to the resident tortoises as they bring in diseases and are genetically unsuitable to breed with the tortoises in the reserve. Just before I took this photo, I had a spectactular fall in my rush to get closer. 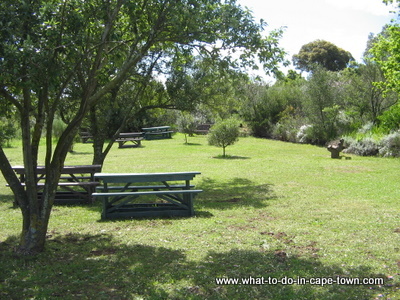 The reserve offers a range of activities and facilities to the public: There are walking trails and wheelchair-friendly pathways, and picnic sites are located at the main entrance and the southern section of the reserve. 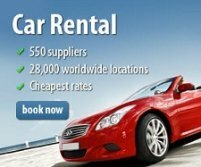 Accommodation - Gordon's Bay, Franschhoek and Stellenbosch. Return from Durbanville Nature Reserve page to Homepage.